The cult of the Helix fossil/Omanyte is not the only 'religion' that's formed around the events of Twitch Plays Pokemon, you know. This makes sense: a random group of thousands of people aren't necessarily all going to believe in the same thing. And on the 11th day, the lord of &apos;Twitch Plays Pokémon&apos; was brought back to life. Plus, the mythology surrounding the Helix fossil itself is a complicated beauty/mess—there are many players and villains. Reddit user aseanman27 made a handy image that not only details all the various 'beliefs' around Twitch Plays Pokémon, but also outlines some of the major events and common occurrences in the playthrough. 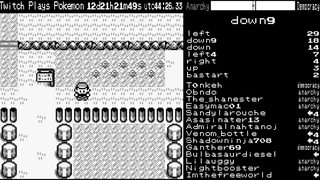 It's worth a look, both if you've been keeping up with the progression Twitch Plays Pokémon, or if you're curious about some of the ridiculous memes that have developed around it. Click 'expand' to see it at full size...and feel free to annotate parts of the image by clicking it, too!